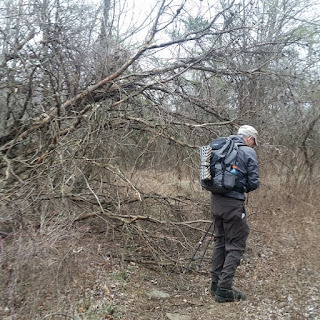 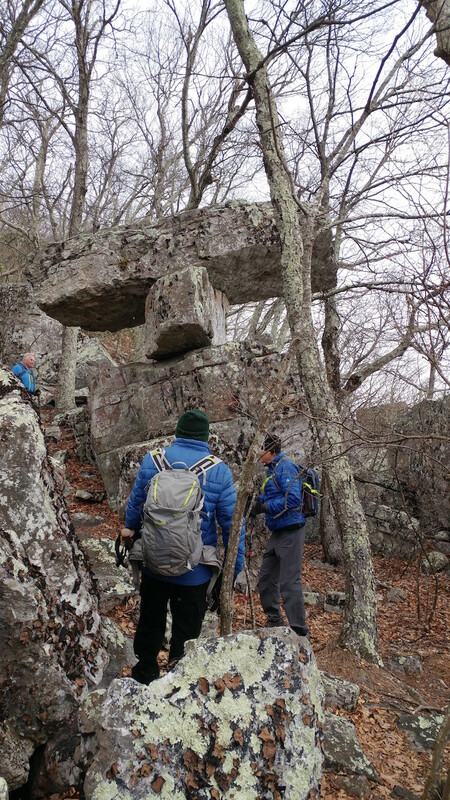 The Charlottesville Chapter conducted a joint hike with the Southern Shenandoah Valley Chapter on March 17th. 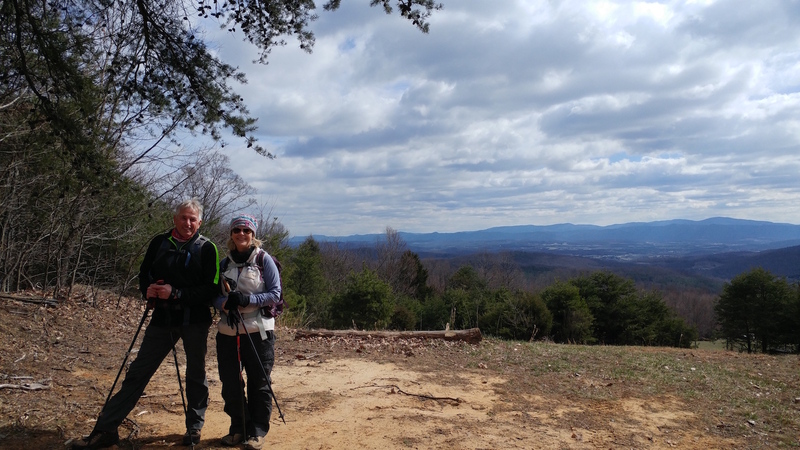 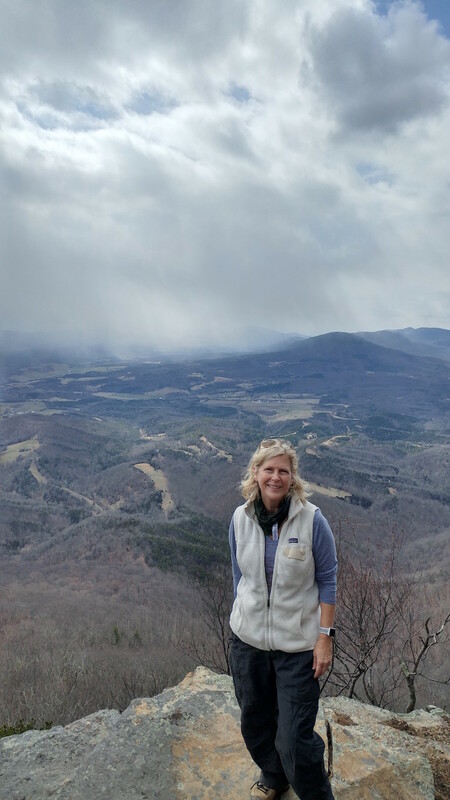 Four Charlottesville hikers traveled over the mountain: hike leader Jeff Monroe, Marie Moss and first timer Karen Ballen met in Charlottesville, and picked up John Brandt in Afton. After meeting eight SSVC hikers in Churchville and discussing trail conditions, the groups decided to hike together without using shuttles, but to still hike on Shenandoah Mountain. 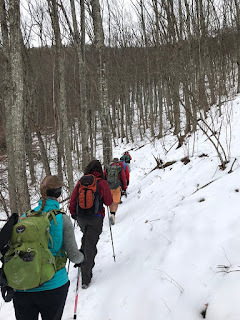 The combined group first enjoyed a short hike north on the Shenandoah Mountain Trail from Scotchtown Draft Rd. 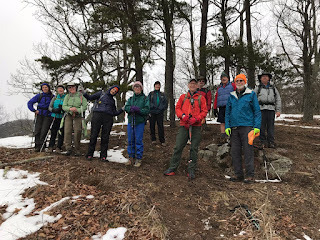 to a great scenic viewpoint, and then deep snow turned the group around to hike south from Scotchtown Draft Rd. 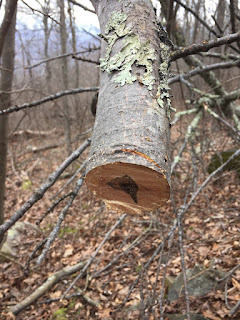 to the projected natural gas pipeline construction corridor. 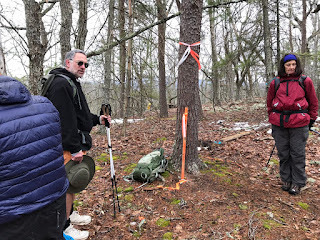 Although tree felling for the pipeline had not begun on the southern end of Shenandoah Mountain, the group did observe flags marking the route. 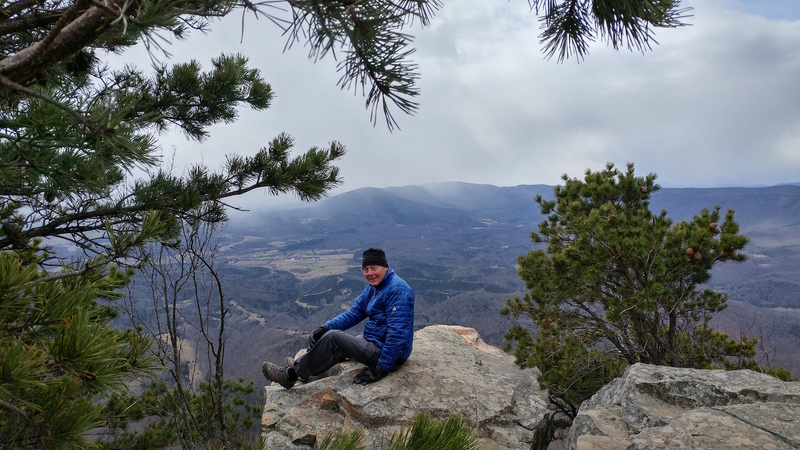 The hike was not a long one, only five-and-a-half miles, but the forecasted rain amounted to only a twenty-minute drizzle and the views from the mountain were amazing! 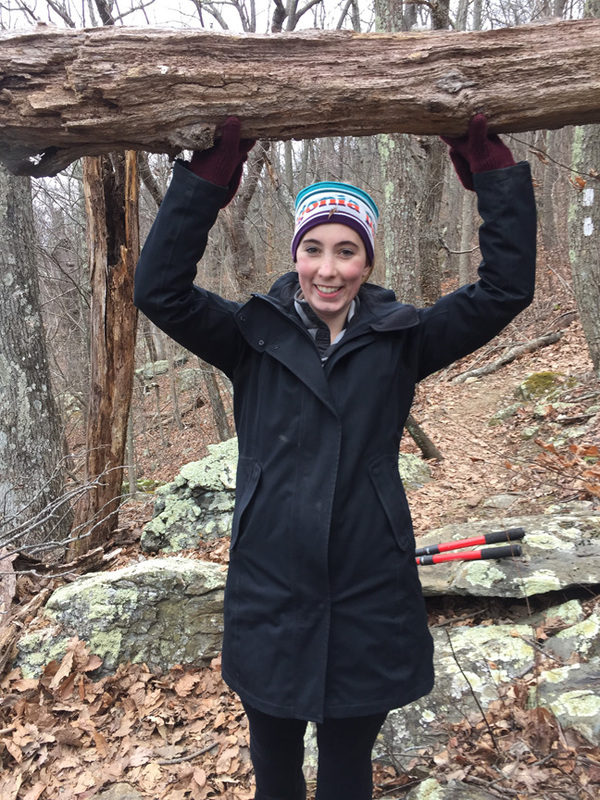 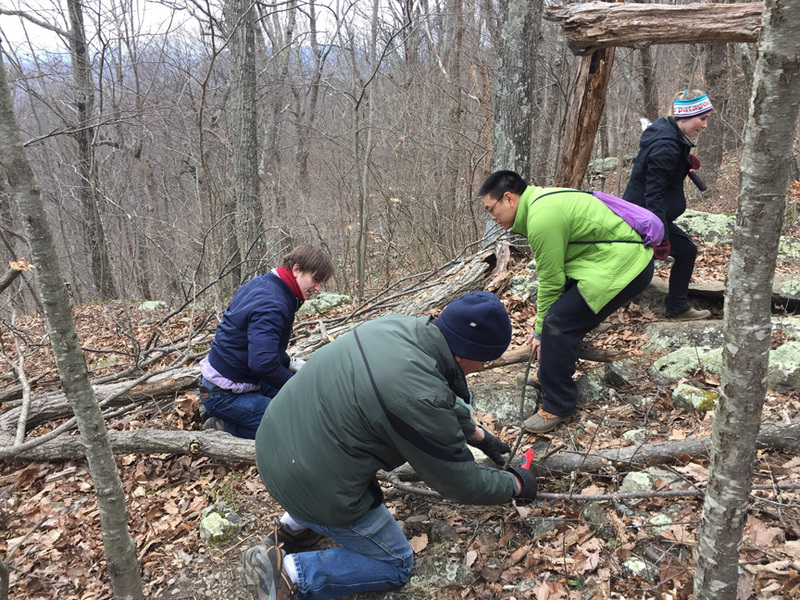 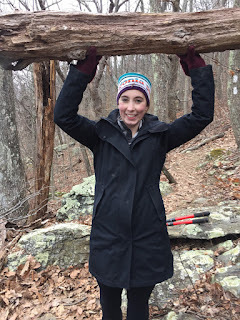 Saturday, March 10, provided good news and good news for PATC trail volunteers working the Charlottesville chapter’s opening stretch of the Appalachian Trail from Rockfish Gap McCormick Gap in Shenandoah National Park. 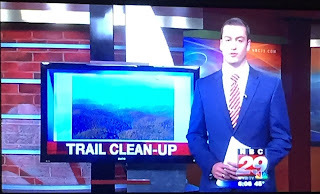 And then there was the evening news. 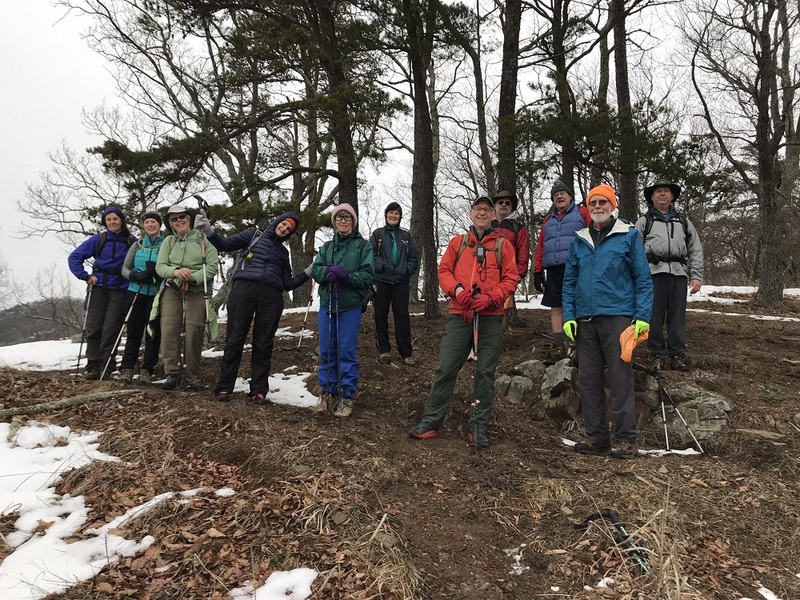 Another piece of good news was that with a hefty turnout of almost twenty volunteers, including half a dozen newcomers, the workload was light. 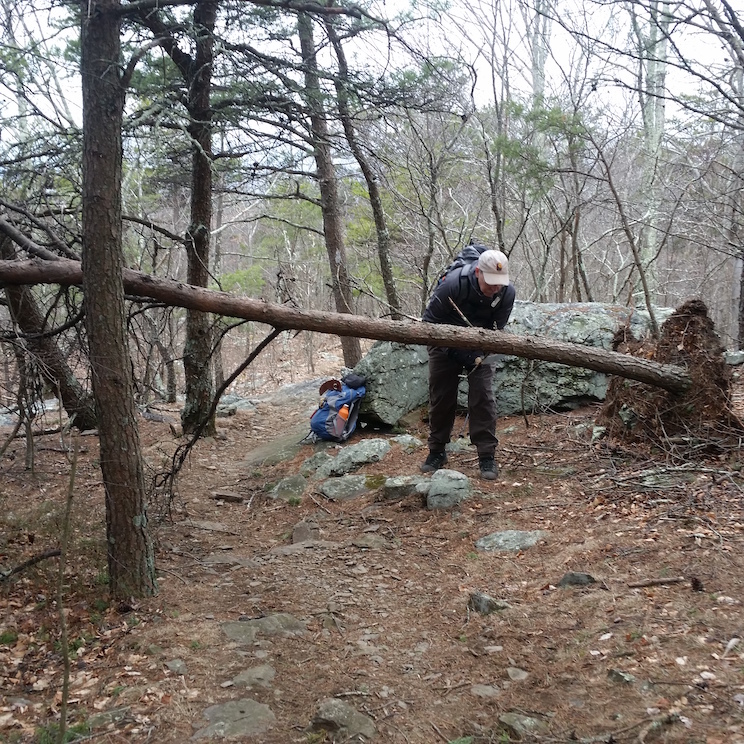 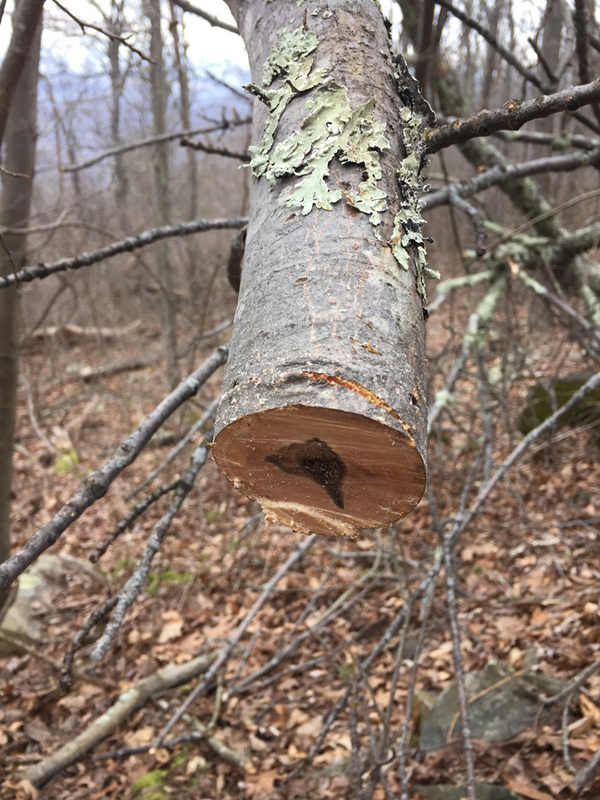 The chainsaw crew, working south, took care of several large trees on the trail, while two scouts headed north to Jarman Gap to survey other potential chainsaw needs. 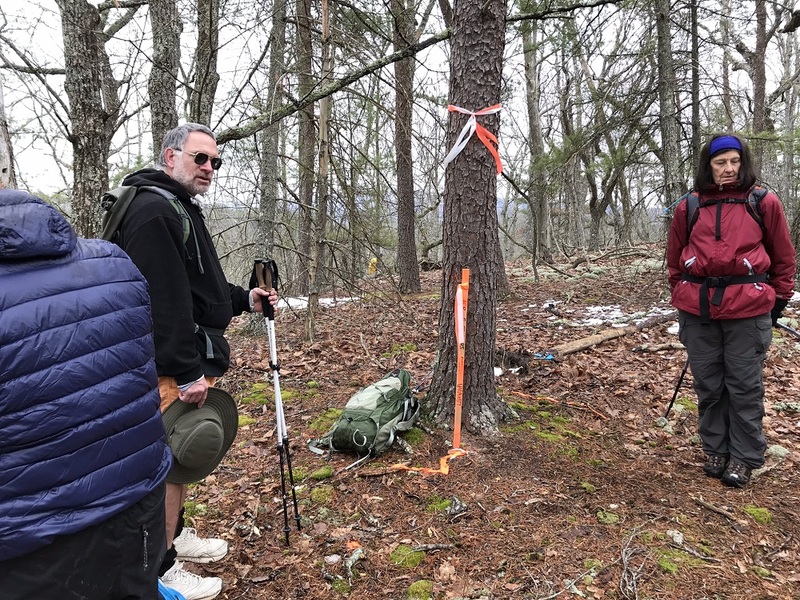 A group of nine headed north into the park armed with hand saws and loppers to make sure that portion of trail was clear for hikers like David Waiter. 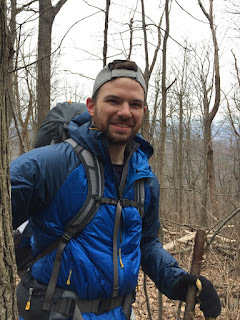 Waiter, a James Madison University student from northern Virginia, was using his spring break days to hike from Front Royal to the park’s southern terminus. 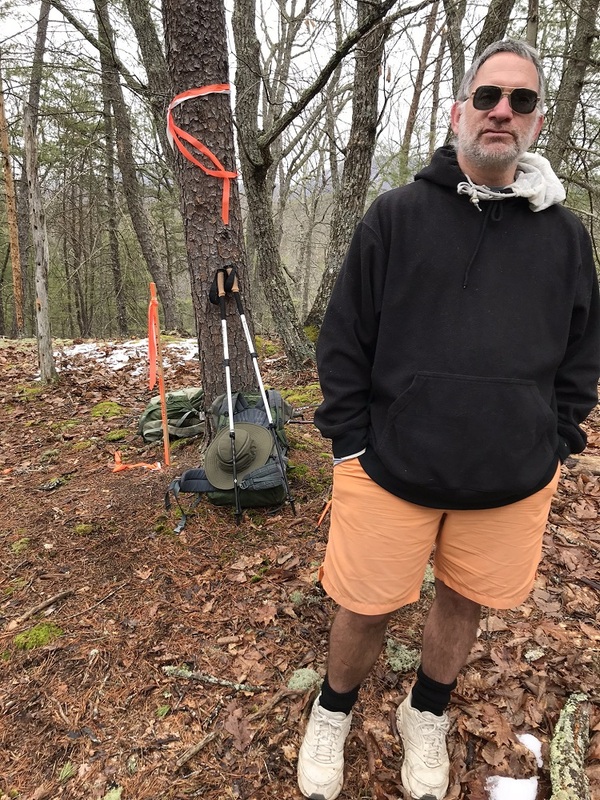 More positive news appeared in form of green leaves at lower elevations, bearing proof that spring isn’t just something on the calendar. 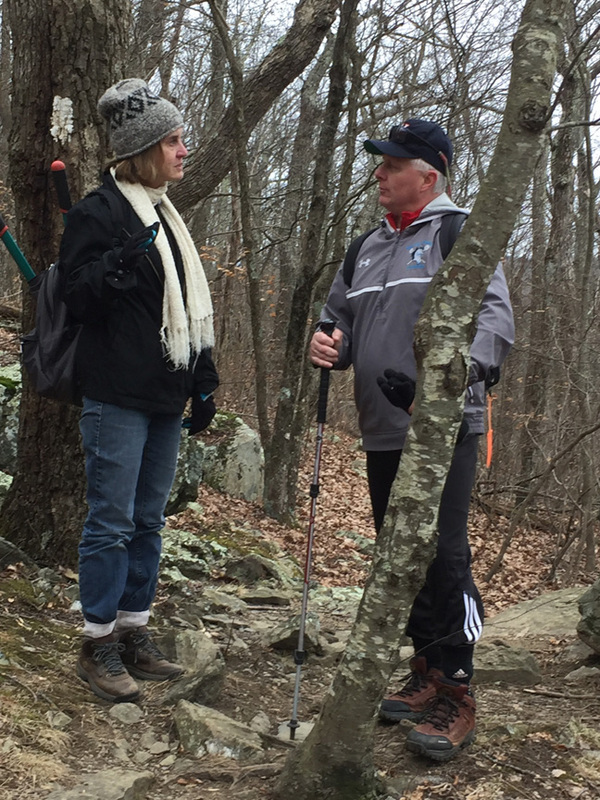 Not counting Channel 29’s news reporter Pete DeLuca, volunteer trail workers on Saturday included hike leaders Iva Gillet and Bill Holman, who doubled as a television star along with Jodi Frederickson. 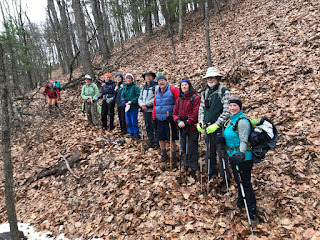 Dave Abdallah, Mikhail Arefev, rock star Rich Bard, Dave Borzszich, Dennis Burgett, chauffeur extraordinaire Pete Fink, Nancy Handley, Sharon Holman, Steve James, Michael Luu, John Shannon, Jeanne Siler, Geoff Manning-Smith, Linda Steigleder, Marian Styles, Clark Wiedman and Remy the Hiking Dog also took part in the clean-up. 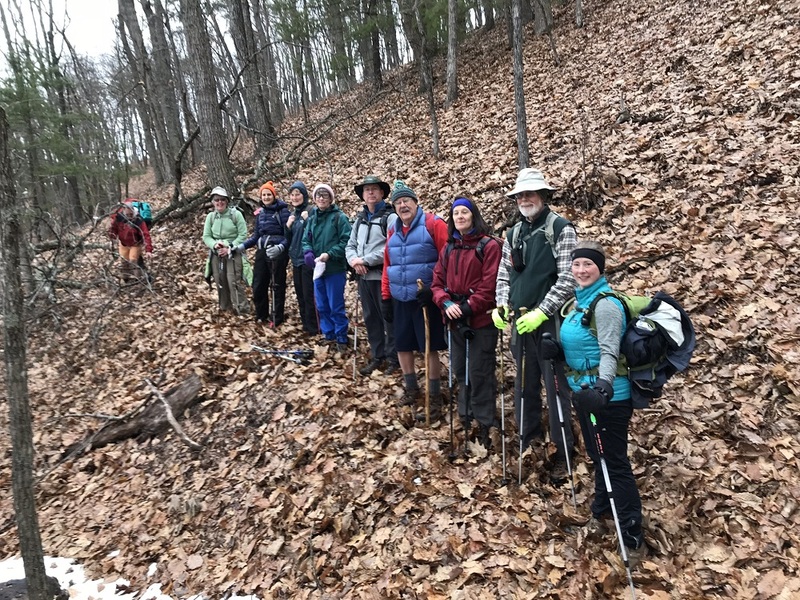 Before heading off in all compass directions, a group of volunteers warmed up over cold ones at Seven Arrows Brewery in Waynesboro. 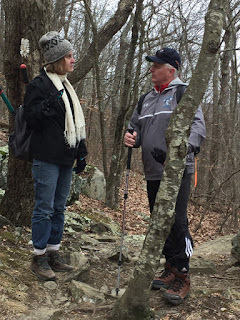 Six hikers, Karl Mohns, John Herrity, Joan Gilran Dennis Templeton, Andre Meyer and Michael Seth joined hike leader, Barbara Martin, for a trek up House Mountain in Lexington. 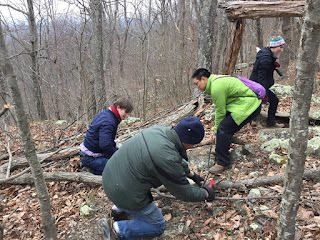 We climbed steadily up a fire road to the saddle where signs are posted about the history of House Mountain and how this area was protected and the trails were built. 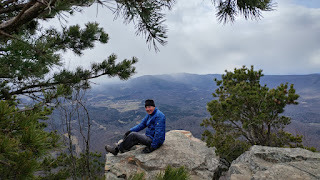 We decided to hike up Big House Mountain first, as it affords the best views. The climb was steep, but the views were worth it. 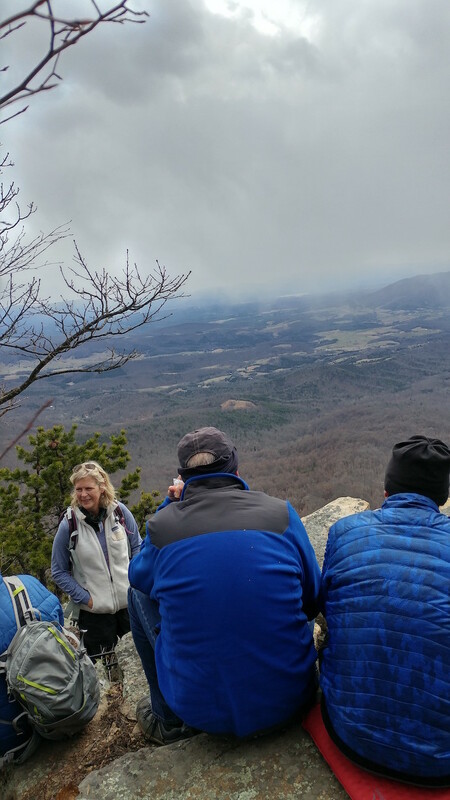 As we looked off into the valley and enjoyed our lunch the sky darkened and snowflakes danced through the air. After seeing Table Rock, we made our way back down and decided to leave Little House Mountain for another day as the air began to fill with snow. We made our way back to the cars and enjoyed beverages at the local ale house in Lexington.